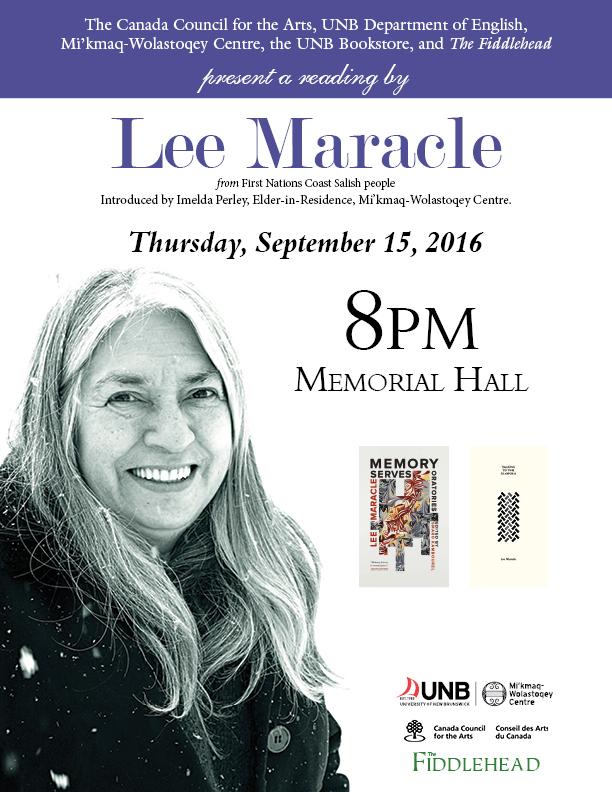 Please join us at Memorial Hall this Thursday, September 15 at 8pm for a reading by Lee Maracle. 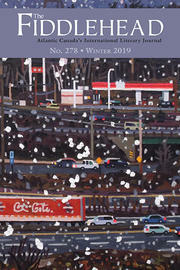 Lee Maracle is a prolific First Nations writer and expert on First Nations culture and history, and an influential Indigenous voice in Canadian postcolonial criticism. She is the author of a number of critically acclaimed literary works, including Sojourner’s Truth and Other Stories, Sundogs, Ravensong, Bobbi Lee, Daughters Are Forever, Bent Box, and I Am Woman. Her most recent books are the novel Celia's Song, the non-fiction book Memory Serves, and the poetry collection Talking to the Diaspora.